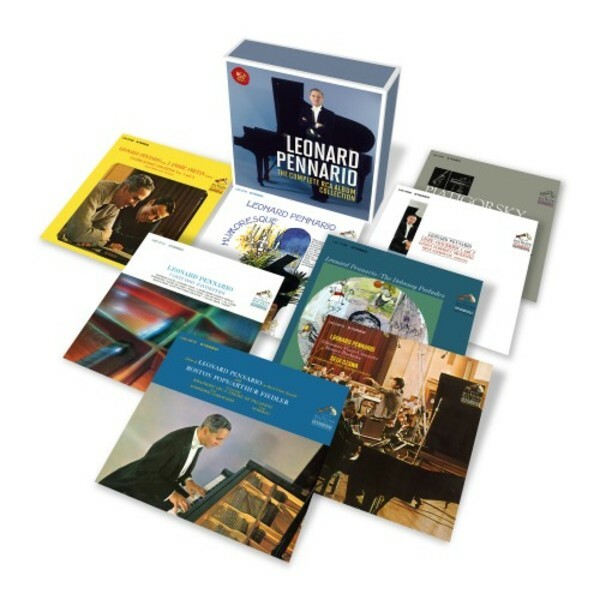 To mark the 10th anniversary of Leonard Pennario’s death, Sony Classical is pleased to reissue of all of the RCA recordings by the critically acclaimed composer in a single box set for the first time. Often described as one of the greatest composers of his time, Pennario released some of his most distinguished albums during his time with RCA between 1963–1968. The box set includes acclaimed solo recital albums which feature works by Beethoven, Schubert, Tchaikovsky and Debussy. This box set includes 4 LPs which appear for the first time on CD, remastered from the original analogue masters using 24 bit/192 kHz technology and 2 CDs remastered from tape especially for this addition.